Great condo in the highly desirable Timberland community. Walk to Market of Choice, restaurants, and shops. This upper level unit in a secure building has high ceilings and a detached garage. Vaulted master suite and living room with fireplace and balcony. Spacious kitchen with stainless steel appliances, tile counters, and dining area. Walk-in closet, stacking washer and dryer, and ductless HVAC system with A/C as well. 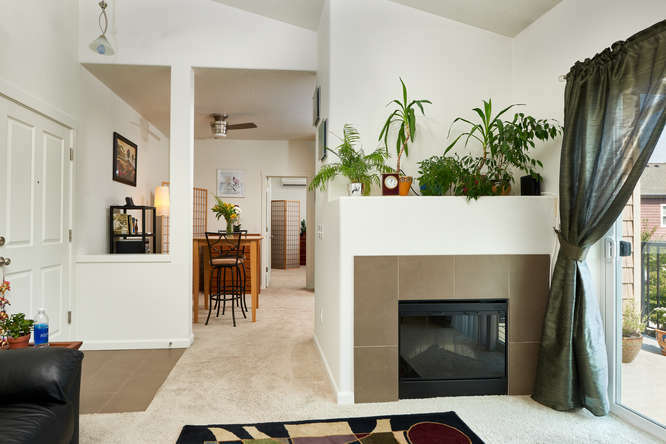 Fantastic location - minutes to HWY 26 and 217 as well as St. Vincent Hospital, Sunset Transit Center, and bus routes! HOA dues of $259 a month include sewer and water as well as landscaping and exterior maintenance. 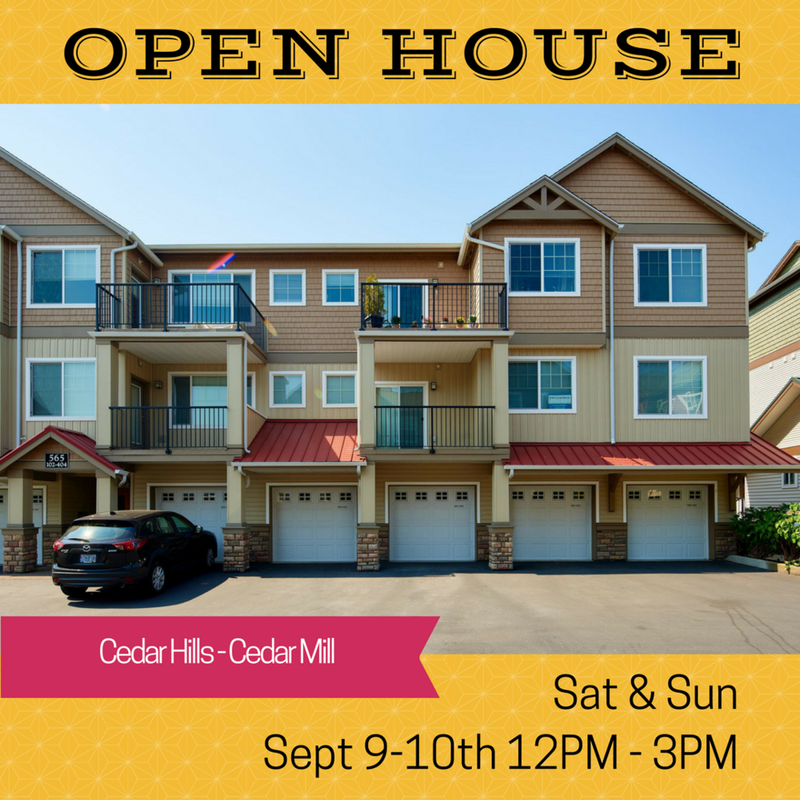 Get your list of all open houses happening this weekend in the Cedar Hills - Cedar Mill area!